I had just turned 17 and accepted the position of trainee technician in a long established independent optometry practice in central Edinburgh where my Aunt was the book keeper. I reckoned this would buy me some time until I figured out what I wanted to do with my life and what my “real” career might be! It soon became apparent that this was to be my career as I quickly developed a passion for optics and felt privileged to have found a wonderful place to work with people who showed great patience, allowing me to grow at my own pace. 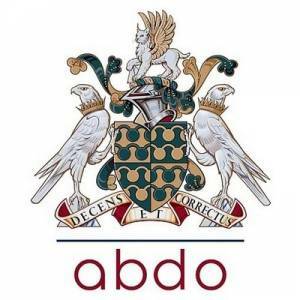 I began as a technician but soon decided I’d like to be a Dispensing Optician and after completing the ABDO foundation course I began the ABDO correspondence course with block release studies at City & East London College. I spent 13 years working in this high end practice and learned my trade in fitting and dispensing a wide range of spectacles. I gained experience in fitting contact lenses and was exposed to the art of prosthetic eye fitting and manufacture whilst assisting the Ocularist. I moved to Kent in the south east of England to manage an independent practice where I continued fitting contact lenses and gave supervision to the dispensing student. I then joined Boots Opticians in Sevenoaks progressing to Senior D.O. with a cluster of stores back in my home city of Edinburgh. In 2004 I moved to NZ to manage an independent practice in the beautiful Auckland suburb of Takapuna Beach. I was then offered the opportunity to see New Zealand as a Sales Manager for Hoya. Since then I have owned a Specsavers store as a Dispensing Director where I gained a great deal of experience. I was awarded a customer service award from Auckland Chamber of Commerce during this time. Followed by a spell where I worked at the University of Auckland School of Optometry, supervising final year Optometry students in the dispensing clinics. Since then I have returned to sales roles with Shamir and now back at Hoya since mid 2017. In 1994 I became a Freeman of the Worshipful Company of Spectacle Makers, receiving the Freedom of the City of London the following year. in 2017 I was encouraged to become a Liveryman of the Worshipful Company of Spectacle Makers which was a great honour. Last year I became president of the Association of Dispensing Opticians New Zealand having spent three years on the executive committee as Vice President. I feel very fortunate to have enjoyed the privileges that this role brings and have had to learn to meet the challenges that have presented themselves in order to develop and succeed. I am currently studying toward the Vision Science degree offered by Christ Church Canterbury University and ABDO College. I bring a wealth of experience borne from years spent in Independent practice, Corporate/Chain store, Practice ownership, student supervision, sales & sales management. I have the ability to network with different groups from years spent in sales. I have worked within the executive committee for our association for the last 4 years with great success.